Services – Rug 360° Ltd.
We have created this unique innovation by combining cutting-edge internet navigation techniques, the most advanced 3D rendering engines and creative processes similar to those used in the film industry. A unique benefit is that the viewer can move seamlessly through an environment with a compelling sense of natural feel and orientation. With some products, the transition to another room or space is immediate and there is no sense of logical continuity, leading to confusion. The possibilities are great with the Rug360° Player. Viewers can, for instance, alter an environment as they wish. They can click for information about products, places, art or installations. They can click to buy products, make appointments or contact suppliers. They can get the exact location of what they are viewing. They can make lighting changes and even measure the spaces they are viewing. The opportunities are expanding all the time. The Rug360° Player can be used to great effect in a host of areas. Here is a quick run-through of the many possibilities now and into the future. The Rug360° Player is ideal for marketing prestige property, particularly when the potential buyer or tenant expects more than a simple brochure. The Rug360° Player gives them the information they need with an immersive experience wherever they are. The Rug360° Player means that the world’s great museums and public spaces can open their doors to the world with fascinating, interactive online experiences. A paradigm shift when it comes to e-shopping is now possible thanks to the Rug360° Player. Shoppers now have the possibility of entering an online retail environment like never before. Q: Why invest in the Rug360° Player? A:Because it presents what you have to offer in its best possible light and it’s very easy to use. The Rug360° Player offers a seamlessly smooth experience, with viewers moving with intuitive, logical ease from one area to the next. By contrast, many walkthroughs ‘jump’ from one room to another causing confusion and disorientation. Q: What about installing plugins? A:There is no need for a potentially risky installation of a third-party plugin. Because the Rug360° Player is built in Flash, it works on almost any computer straight away. Q: What does the viewer see? A: Here’s just one of many possible scenarios. Once loaded, a welcome message with general information appears. The viewer then stands in a room (assuming an architectural setting). At the centre of an interactive panorama, the user can pan, tilt and zoom the camera in any direction they wish. They can view the space with different lighting conditions. They can view the scene with a choice of furniture. They can get information about the furniture and fittings or even buy items through Rug360° links. By clicking on an entrance to another room, the viewer is smoothly taken into the new space. When in the new space, the user once again takes control of the camera. The entire experience, whether it’s an interior, an industrial installation or a product, can be customised to a very high level. Q: How is the Rug360° Player different from other interactive walkthroughs? A: 3D interactive walkthroughs are the closest competitors to the Rug360° Player for presentation of existing or unfinished environments. 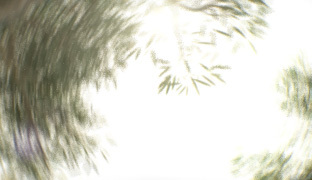 They have similar 3D engines that the game industry uses. This real-time rendering method allows the camera to be moved and pointed in any direction the user chooses. But there is a downside. Controls can be complex. 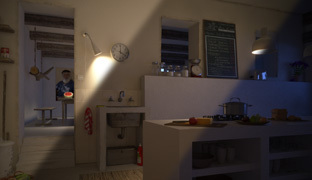 Also the user needs a powerful computer precisely because the scene is rendered in real time. It’s a process that requires compromises in graphics quality to run smoothly. With the Rug360° Player, however, the images are as rich and compelling as they possibly can be. And this, for many commercial users, is the primary concern because image is so important. Additionally, conventional video walkthroughs are not interactive, they can be slow, pass through uninteresting spaces and ultimately lose the interest of the viewer. Q: What about working with photographs of environments that are already built? A: The Rug360° Player is perfect for these projects. In these cases, we can replicate environments using beautifully detailed professional photography. More important perhaps – and compared with computer generated imagery – this method is extremely efficient when it comes to time and budget. Working from computer-generated images, we can create animations that allow viewers to move through environments. The process can also be applied to the close study of many different types of product. The service extends to fully photo-realistic presentations. This is when we enhance a still image by incorporating features such as different lighting effects, ‘moving’ components or phased-in, step-by-step processes. We can add interactivity to this (i.e. flick switches to change lights). Photo-realistic visualization can play a vital role in communicating ideas accurately. It can also be a useful tool for designers, architects and engineers. We can create images using anything from simple pencil sketches to 2D and 3D CAD drawings.